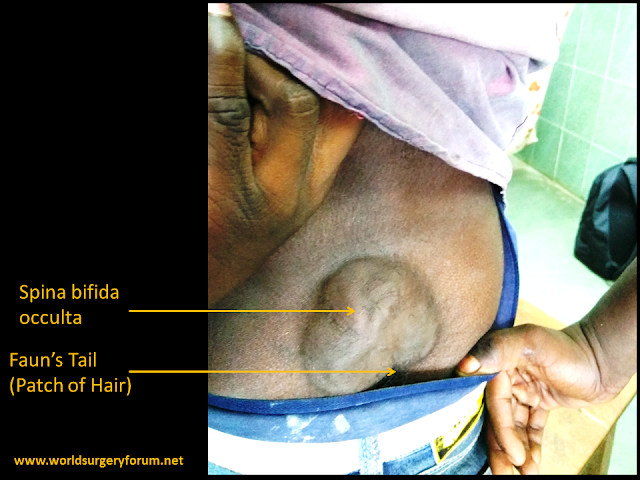 - There is no specific treatment required for occult spina bifida if the abnormality is limited to the bone. - If other markers such as a tuft of hair, cutaneous hemangioma, or sinus tract are present, further investigations should be done. Simple Spina Bifida Occulta: Mildest form of spina bifida. Usually asymptomatic.